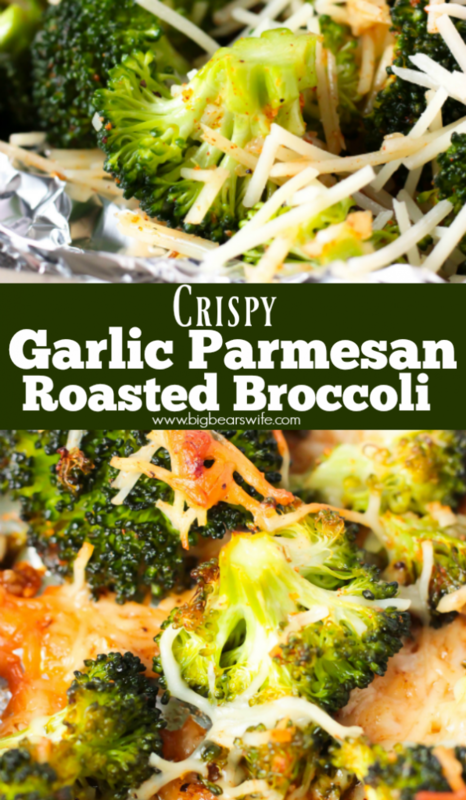 This Crispy Garlic Parmesan Roasted Broccoli is a perfectly tasty side dish that’s ready in less than 30 minutes! 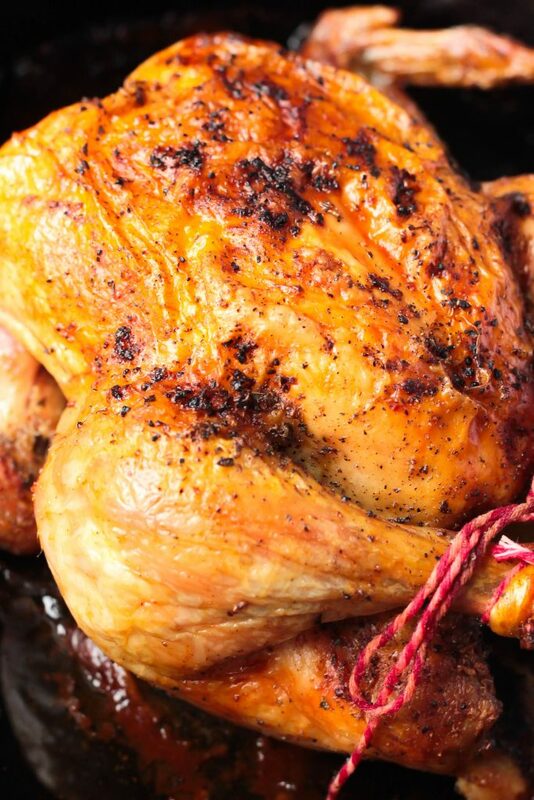 Just mix and roast for a super delicious side to serve with all sorts of entrees! Mmm y’all, broccoli and cheese is amazing! 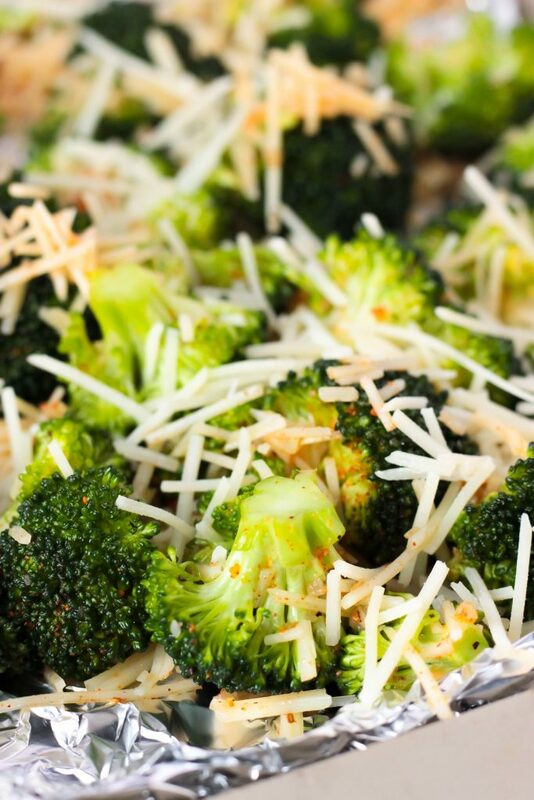 I remember my mom making broccoli and cheese as a side dish when I was little, it was one of my favorites! I still love the combo of broccoli and cheese, which led me to this fantastic side dish that I’ve been making for the past few months. 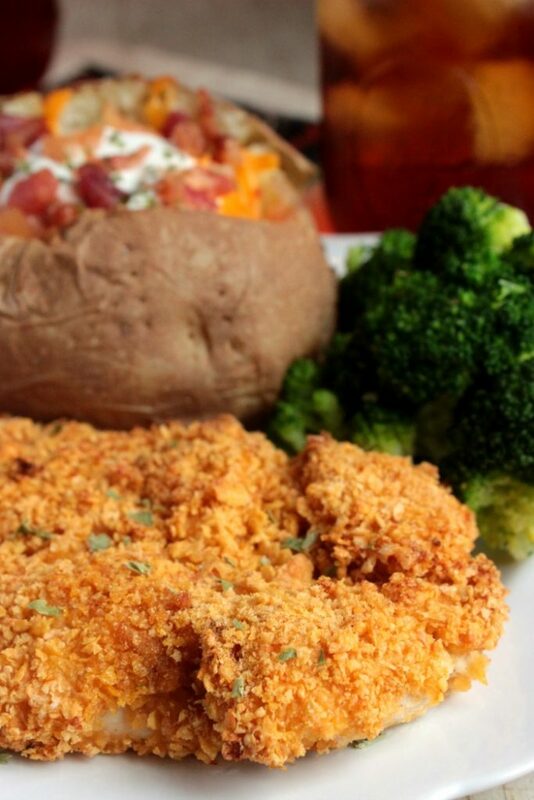 I almost didn’t post this recipe since it’s so easy, but y’all, easy recipes are the BEST! I’m still on my Farmer’s Market meal kick! I’m also loving super quick recipes like this right now because Summer is here and I’m ready to be spend most of my days out and about with the family! I’m not really ready to spend hours in the kitchen. That’s why on Sundays when I’m meal prepping, I love being able to roast up a huge pan of Crispy Garlic Parmesan Roasted Broccoli to eat on for a few days. 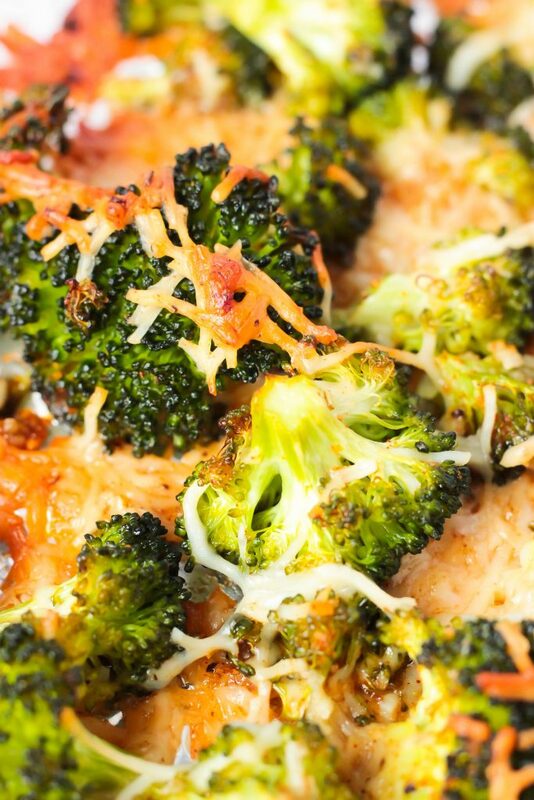 This broccoli is great along side of roasted chicken or grilled pork chops. To be honest though, I have actually eaten it as my lunch before haha. I’m not a big eater during the summer months and sometimes, something as simple as this is all I need to get though lunch. Any type of seasoning salt will work! Just use your favorite! 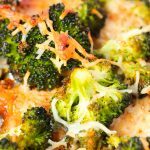 This Crispy Garlic Parmesan Roasted Broccoli is a perfectly tasty side dish that's ready in less than 30 minutes! 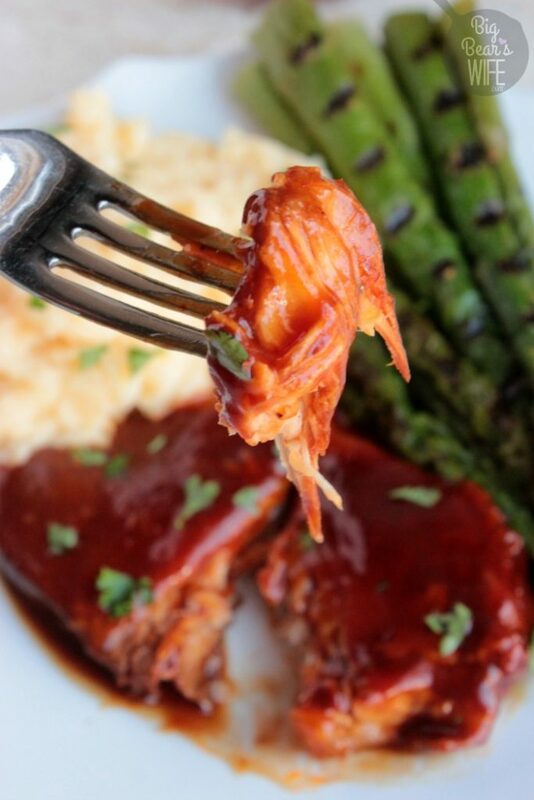 Just mix and roast for a super delicious side to serve with all sorts of entrees! Line a baking pan with foil or parchment paper for easy clean up. In a medium bowl, combine the olive oil, minced garlic and seasoning salt. 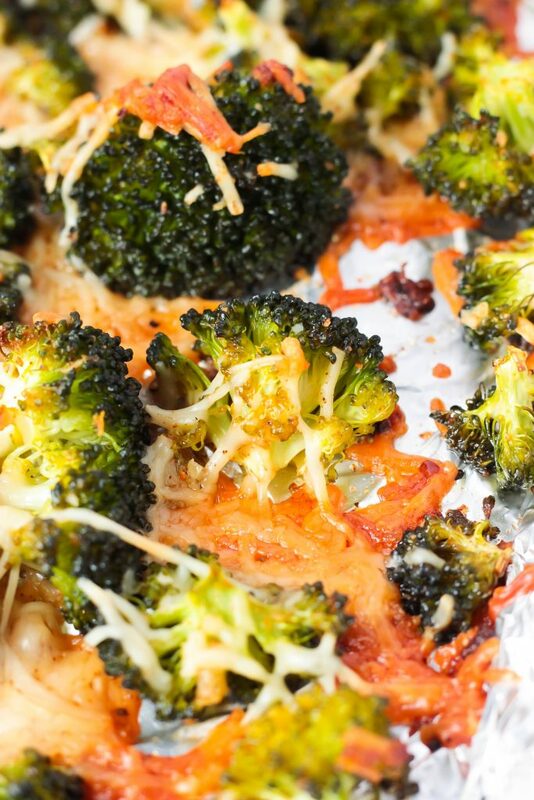 Toss broccoli in until completely coated. Toss in 1/2 cup cheese and stir well. 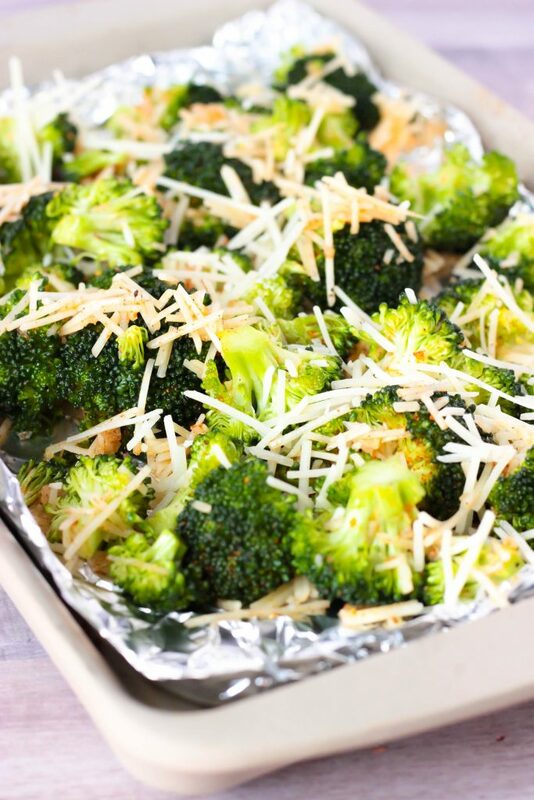 Lay broccoli out onto the baking sheet. Sprinkle with 1/4 cup cheese. Bake in preheated oven for 15-20 minutes or until cheese is crispy, or cook for about 10-15 minutes for less crispy cheese.